All Books are available directly from the publisher or you may contact us for assistance. DBookmahn, P.O. Box 10826, Burke, VA 22009-0826. Today's Goat, the West Point cadet finishing at the bottom of his class, is temporary celebrity among his classmates. But in the 19th century, he was something of a cult figure. Custer's contemporaries at the Academy believed that the same spirit of adventure that led him to carouse at local taverns motivated his dramatic cavalry attacks in the Civil War and afterwards. And the same willingness to accept punishment from Academy authorities also sent George Pickett into the teeth of the Union guns at Gettsyburg. 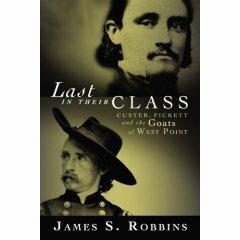 The story James S. Robbins tells goes from the beginnings of West Point through the carnage of the Civil War to the grassy bluffs over the Little Big Horn. The Goats he profiles tell us much about the soul of the American solider, his daring, imagination and desire to prove himself against high odds. 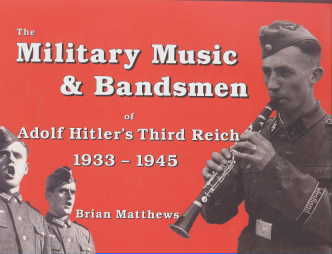 This is the first book to cover in detail the Military Music and Bands of Nazi Germany. Contains 386 photos, some in color. It tells the story of the development of German military music from the time of Friedrich Wilhelm I of Prussia, through the Great War and World War II. Also has two sections at the end covering the West German Bundeswehr and the East German Volksarmee. 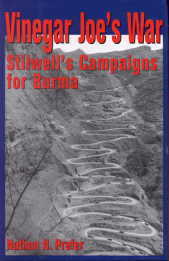 This is the first book to cover the vitally important Buna Campaign. Long overshadowed by the combat on Guadalcanal, Allied success on New Guinea was a prerequisite for defeat of the Japanese Empire. Starting with two Chinese Divisions, Stilwell was soon able to augment these forces with the famous Merrill's Mauraders. He would go on the offensive in northern Burma in late 1943 and early 1944. 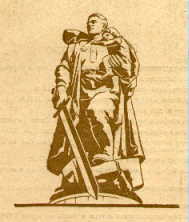 Stilwell's campaigns were fought mostly by American infantrymen. In late October, 1950, Chinese forces entered the Korean War, overcame UN forces, driving them back into South Korea and defeating the UN objective of unifying Korea. The battles there were the decisive battles of the war and count among the decisive battles of the 20th Century. The US, and UN, had to settle for restoration of the status quo ante. For the first time in history a Chinese army had battled a western army to a standstill. 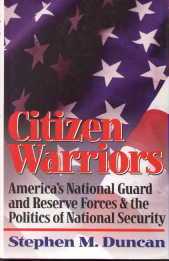 The author, an Annapolis graduate and Vietnam veteran, was the Assistant Secretary of Defense for Reserve Affairs during Desert Shield/Desert Storm, and uniquely positioned to observe the deployment and performance of the National Guard and Reserve units so vital to our efforts in the Gulf. He examines the Reserves as essential to the Total Force, and in the context of politics, outside of which the policies cannot be understood. Of particular note is his discussion of the two National Guard roundout brigades, which were activated but not deployed for the Gulf War, and the implications for future deployments. Writing in a chatty, sometimes anecdotal style, Clark gives us the most detailed popular history available of the U.S. Marines in World War I. With a maximum strength of 75,000, the corps sent only two brigades to France. 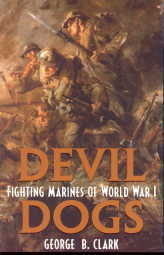 Only the Fourth Marine Brigade saw combat, and in France the "Devil Dogs," as the Germans nicknamed them, were a long way from their parent organization, the navy, and close to the army, which did not like marines. Clark provides a detailed account of the marines' most famous action, the battle of Belleau Wood, as well as the other six major battles in which they fought. This is a pictorial history of the Japanese-American 100th Infantry Battalion and the 442d Regimental Combat Team active in the World War II European theatre. The Japanese-American Nisei warriors fighting on the side of American and the Allies earned 9,486 purple hearts and numbered 680 of their comrades in arms as killed in action. Their individual decorations for bravery include a Congressional Medal of Honor, 52 Distinguished Service Crosses, 588 Silver Stars, and 5,200 Bronze Stars. Their unit recognitions include 87 Division Commendations, 36 Army Commendations, and a truly remarkable seven Presidential Unit Citations. These fighting men were allowed to volunteer while being male Japanese-American internees as the result of a war-time hysteria which had resulted in the internment of over 100,000 Japanese Americans (70,000 of whom were native-born American citizens) into ten concentration camps scattered around the United States. 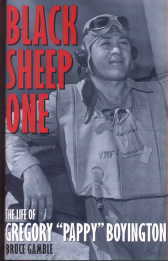 This is the first full-length biography of legendary warrior, lover, drinker, and World War II hero Gregory Boyington. He was a Marine Aviation Cadet in 1936. Later, he volunteered for the American Volunteer Group (Flying Tigers) in China and when World War II started he returned to the Marines. 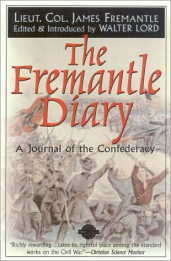 The Fremantle Diary is a fascinating primary document on the Civil War by English Colonel James Fremantle, who kept the account during his tour of the Confederacy in 1863. His tour culminated at the Battle of Gettysburg, which Fremantle witnessed at Lee's side. These memoirs were written by Field Marshal Keitel in the six weeks before he was hanged in Nuremberg for war crimes. They offer an unparalled insider's view of the Wehrmacht, Hitler and the military operations during WWII. 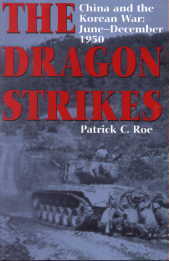 The remarkable history of the defense of Corregidor based on interviews with forty American and Philipino survivors. From December 1941 to May 1942 they fought and died to buy America some desperately needed time to regroup and respond to the Japanese onslaught in the Pacific. For the Allies, the Battle of Kasserine Pass in February 1943 was a rude awakening. During a pivotal three-week period - the green untested American troops had their first taste of combat. 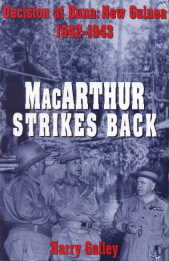 This book looks at this cricial struggle and explains why Eisenhower and Patton emerged as important military leaders. 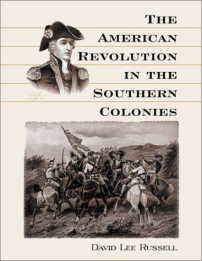 While the American Revolution is often associated with New England, the Southern Colonies were also crucial to the war. This analysis covers five colonies - Maryland, Virginia, North Carolina, South Carolina and Georgia - and their participation in the cause of American independence. Crucial battles are examined in detail, with attention to the larger context of the war and its significance. 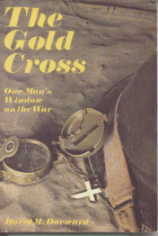 An important study of the German effort from 6 June to mid-September 1944. With colorful descriptions and informative details, Mitcham recounts the German military retreat and the erosion of Germany's stronghold on Europe. The true story of the experiences of a young Canadian soldier wounded in World War II. I accept credit card payments with PayPal - its FAST, FREE and SECURE! For a limited time only, you'll get $5 for signing up and activating your account. DBookmahn's New Military Book Page Has Been Visited Times Since February 2000.